It’s isn’t every day that you come across a social entrepreneur who’s passionately responding to the global challenge of upskilling in artificial intelligence and robotics by addressing the issue at the grassroot level. As AI, machine learning and robotics begin to take a leading role in day-to-day governance and organisational level, the upskilling in these technologies is something left to Indian metros and upscale classrooms. But as the chorus around AI grows louder, what’s apparent is the large gap in AI education and advocacy among the rural sector in India. 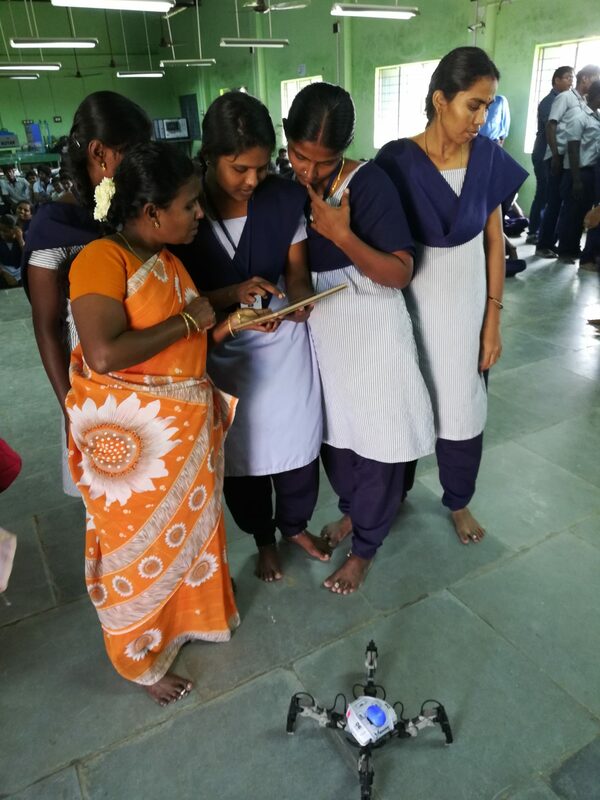 This is an area that Tamil Nadu-based woman social entrepreneur K Suriya Prabha, mother of two and a former web designer is addressing by turning the tide and creating more equitable opportunities for rural children by fostering digital skills – chief among them is coding and familiarity with robotics. Prabha, inspired by PM Modi’s Digital India campaign and AI guru Fei Fei Li, who believes AI education can be a great enabler launched an edtech social enterprise startup YouCode Intelligence Solutions in 2018, to make the vision of Digital India come true. A native of Cumbum, Theni district in Tamil Nadu, Prabha initially didn’t set out to be a social entrepreneur. Her interest in robotics and AI was partly sparked by her entrepreneur spouse, Karthik Kannan, who runs his own startup in Chennai. Spurred by him and watching how AI is now redefining the educational landscape, she decided to take AI education to the economically disadvantaged section of society, that lacks the infrastructure and ecosystem to teach advanced technologies with YouCode, a completely bootstrapped startup. 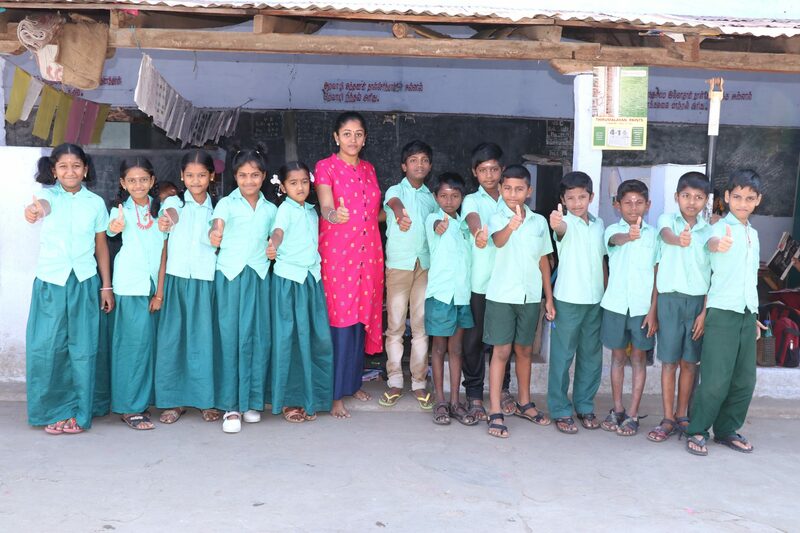 So far, she along with her team of 5 members has reached out to 4000-6000 students in Government schools in the district of Madurai, Ramnad and Virudhunagar in TN. “Since the students of today need to work in a future where AI is a reality, it is important to expose the village students to AI-based technology early on. Also, India has the largest student population in the world, and it is our moral and social responsibility to prepare the next generation for the AI future,” she said. The programme was initiated in government schools to build awareness about computer science, electronics, robotics and AI and taps in students from Class VI onwards. It is run in Government schools only, and the course content has been created by Prabha and her team. In addition to this, Prabha chiefly teaches Python in the Block-based coding format to make learning more interactive, fun and engaging. 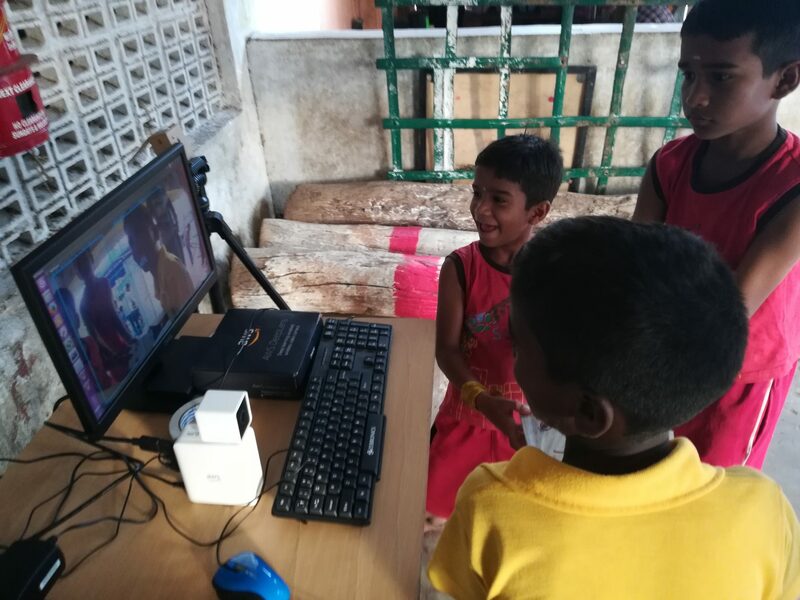 She has also run several sessions and demonstrations with village students with Google AIY kits which is a playful way of introducing AI to children. Also, the team leverages Amazon Deeplens that allows for an interactive based AI demonstration. Ask her what are the key learnings students take away from these programmes, and she says, ‘It is their reaction from surprise to excitement and enthusiasm for technology which is very encouraging for us. These village kids are eager to learn about new technologies, but they have never been exposed to AI kits or robots. They saw the robots for the first time during our demonstration”. On the anvil is gamifying learning concepts with solutions built in house. For example, the startup is experimenting with Conversational AI programme for students that can provide personalised learning and evaluation as well. The programme is akin to an AI teacher and can even drum up real-time answers to questions posed by students. Not only that, it can even respond to the child’s gestures and identify the emotions (for eg. happy or sad), she claimed. In addition to this, the startup is also dabbling with an AI system that can be used to automate the student’s evaluation process. “I believe AI can play a critical role in evaluation in the coming years and allow teachers to spend more time with students and upskill them effectively,” she shared. Up next, she also plans to run a campaign for women upliftment, even though details are scarce. 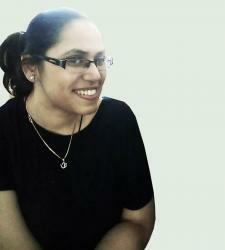 While her startup is completely bootstrapped, Prabha is actively looking for outside funding. She revealed that the startup is in the final stages of pitching the “idea and importance of AI in Indian education to Google Launchpad accelerator”.